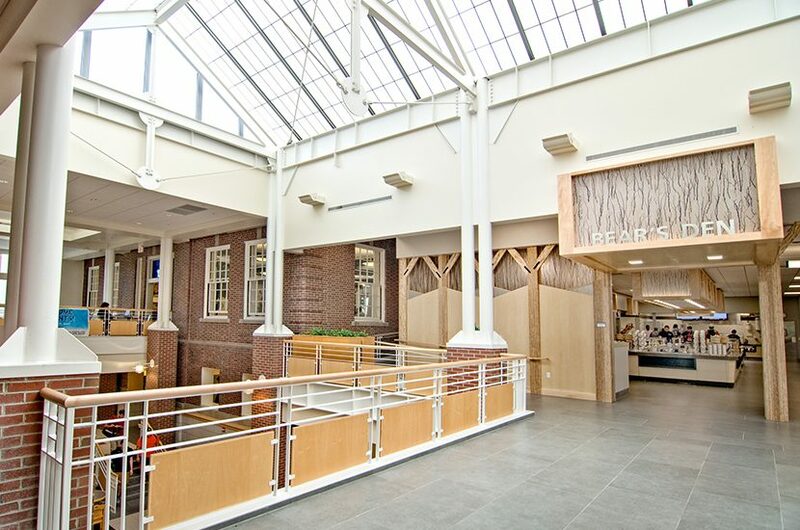 Case Study | Bear's Den Dining Hall Renovation | LTI, Inc. 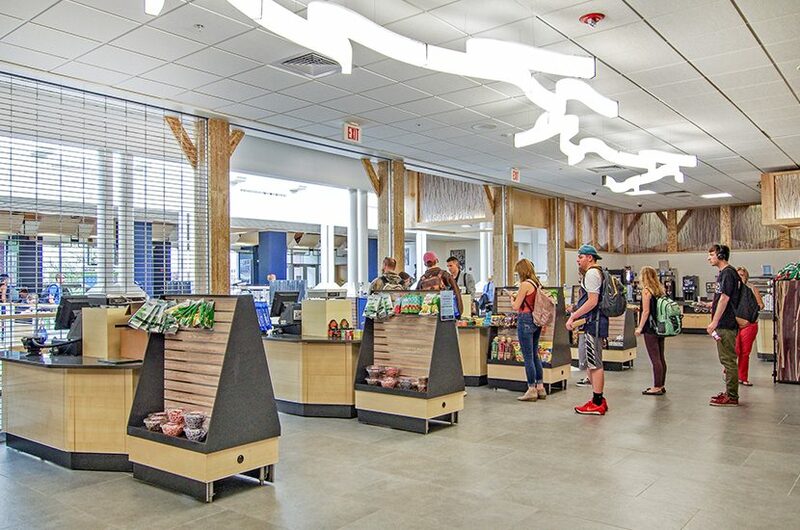 When it came to updating the Bear’s Den at the University of Maine, there was little time for a lot to come together – and it did! It required a very close partnership between the team to meet some tight deadlines (only 13 weeks for construction – May to August). 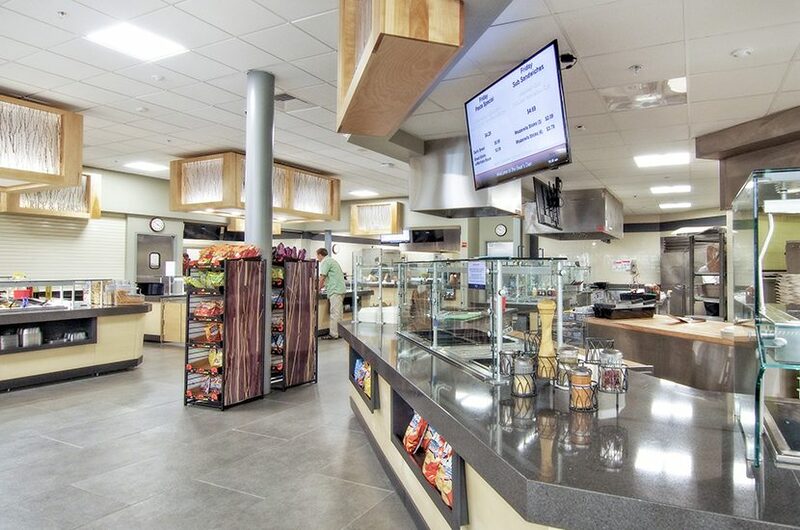 The goals were to boost the flow and efficiency and add new stations/food variety to the overcrowded, dark dining facility. 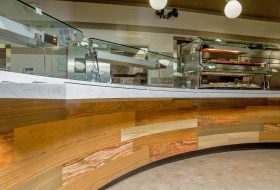 The foodservice team wanted a bright area with improved flow and function using existing space (no expansion). The servery occupied 5,400 sq. ft. and 4,200 sq. ft. of support kitchen and storage. 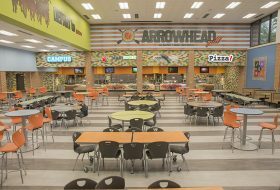 Dining seats 420 and 2,200 students are served a day. In the original Bear’s Den, traffic flow overlapped queues, causing confusion and occasional collisions. Smart layout has made the new Bear’s Den a model of efficiency. Designers opened up circulation patterns and sight lines by moving the combined Ancho and Sushi stations from their middle-of-the-floor spot to a space along the wall that had been previously occupied by a little-used c-store. 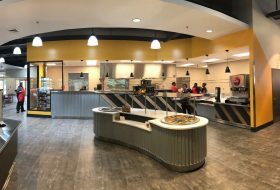 LTI serving counters, wall cabinets, work counters, hot-cold-freeze food wells, prep tables, food shields and 3form decorative paneling were used throughout. LTI’s QuickSwitch technology has been a gamechanger, as it allows individual wells to be switched from hot to cold to freezing in an hour or less. 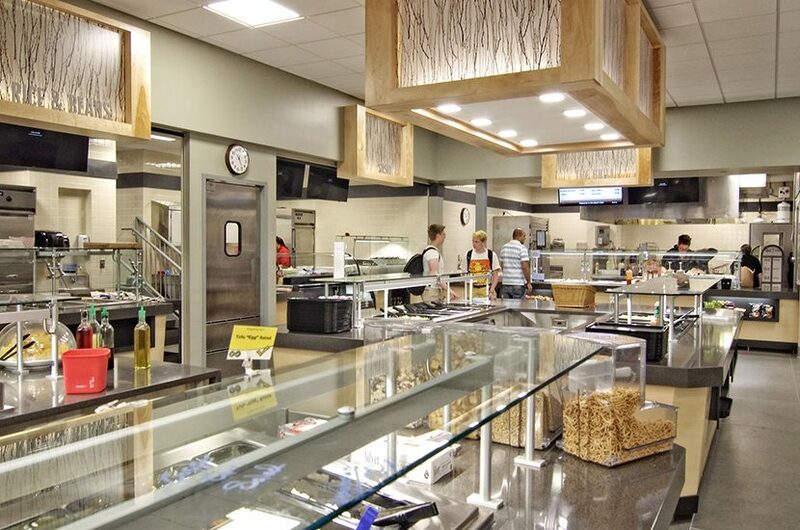 This has offered the ultimate in menu flexibility for the university. 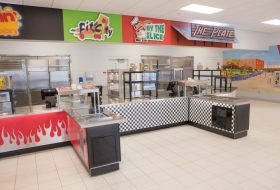 For example, the Flex Bar can now go from a hot/cold self-serve breakfast bar to a make-your-own taco bar at lunch to an ice cream sundae bar for after-dinner dessert. 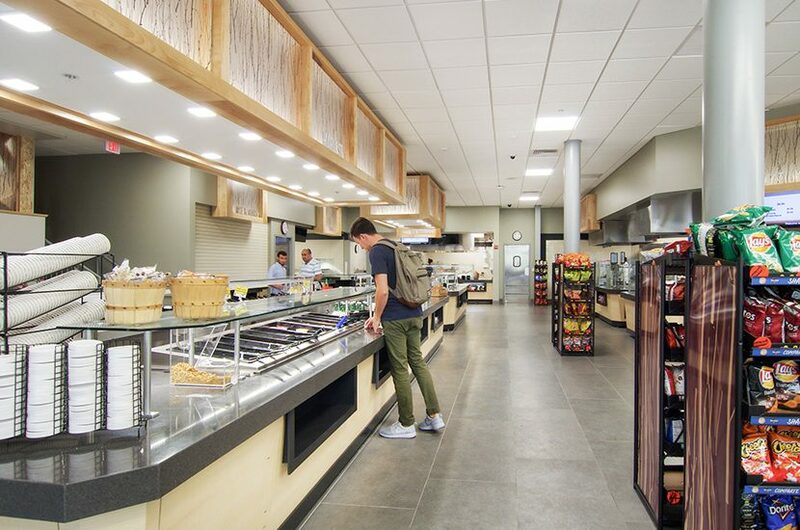 After consultant, Tom McArdle introduced this equipment to the university’s chef and foodservice director, they wanted the units used throughout the servery. 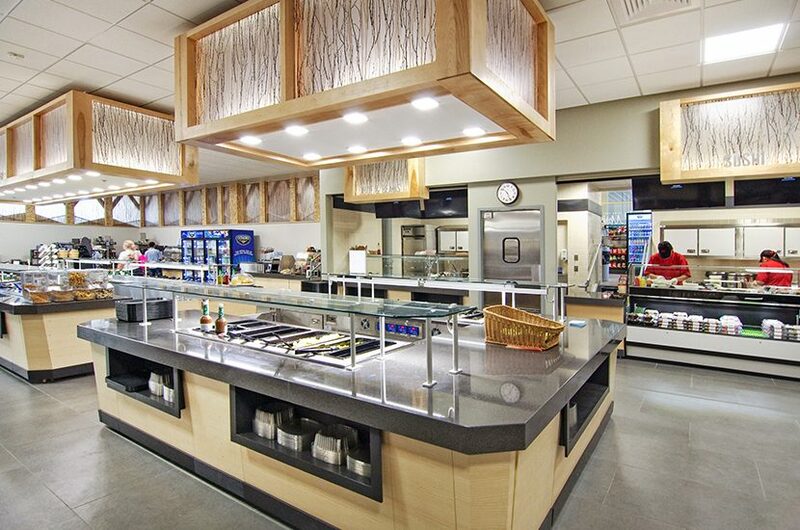 The renovation has resulted in a stunningly bright, first-class serving area with increased participation and sales. 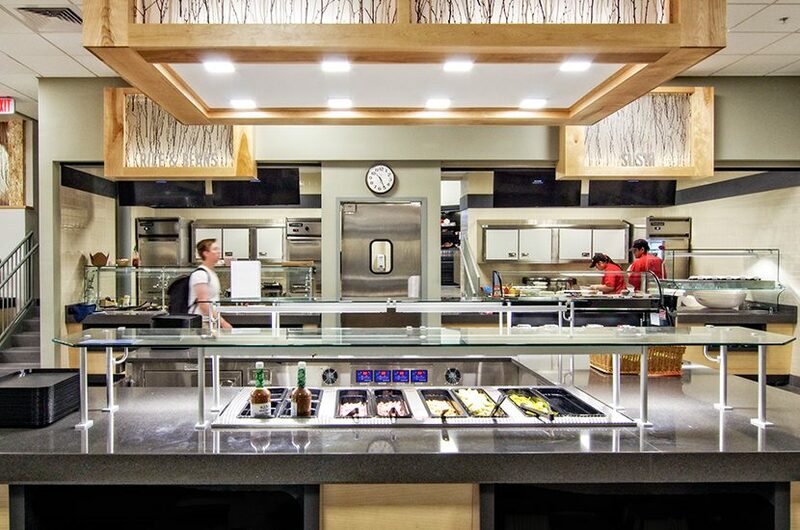 UM’s Dining Services Director, Glenn Taylor, reported three weeks after the Bear’s Den’s reopened, “I hear people commenting on how much brighter it is now, how the lines are shorter and service is faster, and checkout more efficient, to name a few.” Transaction counts and check averages have increased, too. 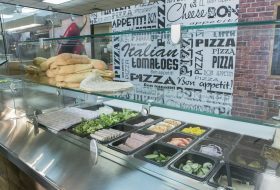 The new servery handles about 2,200 daily transactions, up substantially from the previous year. Check averages have risen $0.50 to a new average of $6.43 per check, Taylor reports. Dealer: Steve Zafirson, Project Manager, Gordon Food Service, Taunton, Mass.